As lifetime Pasadena residents, we truly care about our community and the neighbors we serve. The Pumphrey family services each and every customer personally to ensure the highest quality plumbing service. As an American-owned small business, we operate at low overhead and extend those savings to our customers. 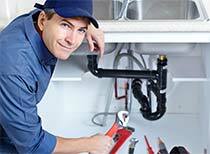 You will not find a better value for professional plumbing services in Pasadena.